This is an outstanding multicolor georgette satin printed saree. 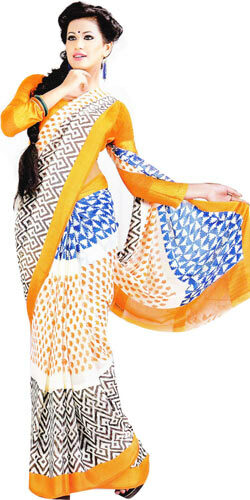 The exclusive design and border is the center of attraction of this saree. It also comes with matching blouse piece.